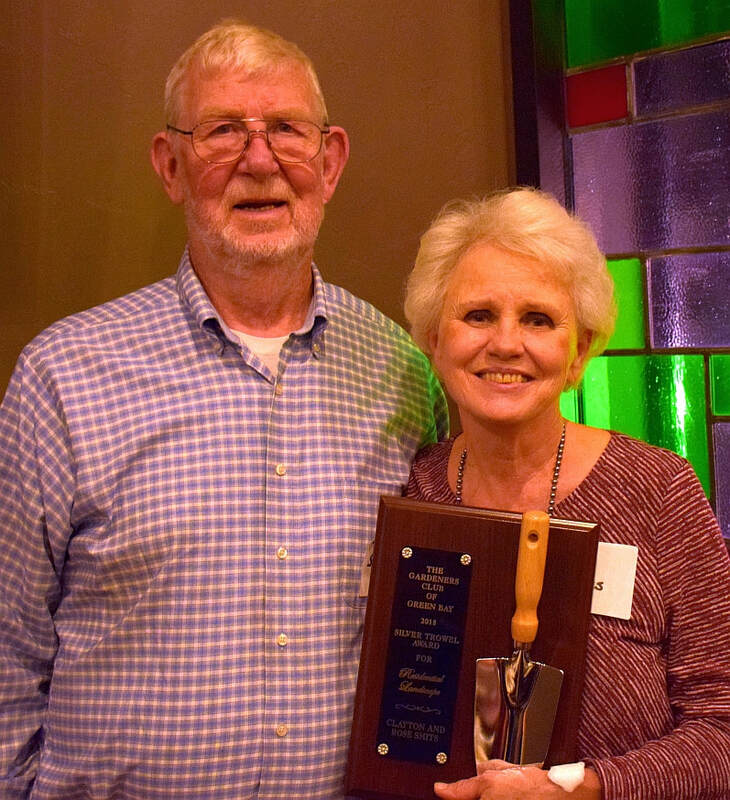 Each year nominations are sought for Silver Trowel Awards that are presented at the November Harvest Banquet. Six awards may be given: four for excellent landscapes--residential, commercial, industrial, and institutional An individual award is given to someone who has contributed to horticulture over the years and a civic award can be given to a local business/individual who has worked to improve horticulturally-related activities within the community. 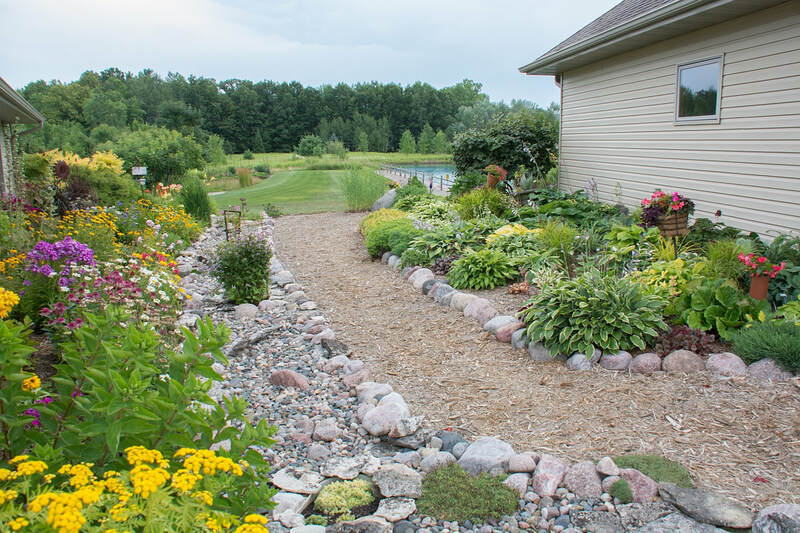 Residential Silver Trowel Award: Clayton and Rose Smits, 826 Jordan Road, De Pere, have gardened at their home for 17 years. 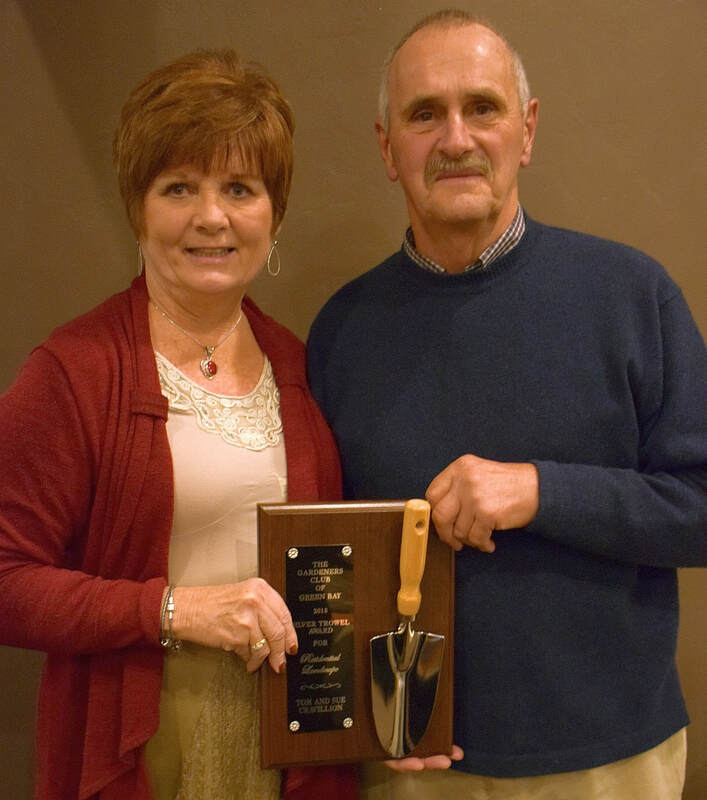 Residential Silver Trowel Award: Tom and Sue Cravillion, 3618 Stream Road, Suamico, have gardened on a 12-acre property for 12 years. 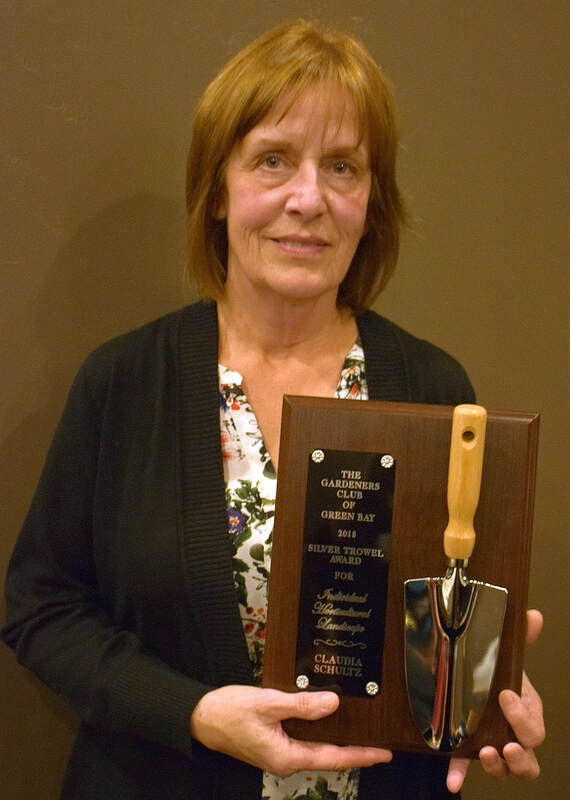 Individual Silver Trowel Award: Claudia Schultz has initiated and coordinated numerous projects with the help of Master Gardeners. 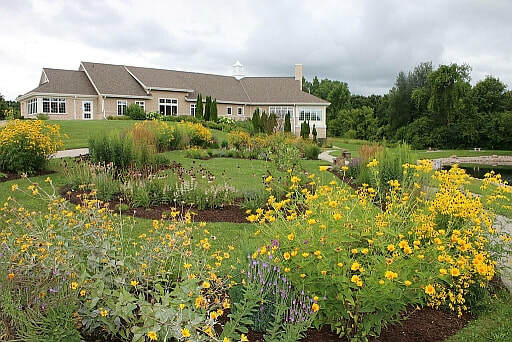 Locations include Brown Co. Community Center, Bay Beach Wildlife Sanctuary, Neville Museum, Unity Hospice, and the Locktender Garden at Voyageur Park. Annuals and perennials at the Smits' residence with a pleasant seating area. A path, dry stream bed, perennials and annuals appear between the Cravillion home and a storage garage leading to the back yard where there is a large pool. This is one of the projects completed by the Master Gardeners under the direction of Claudia Schultz. This is a labyrinth shaped Meditation Garden at Unity Hospice. "Milady" greets passersby on Jordan Road at the Smits' home. She regularly sports a new ensemble depending on the holiday or season. 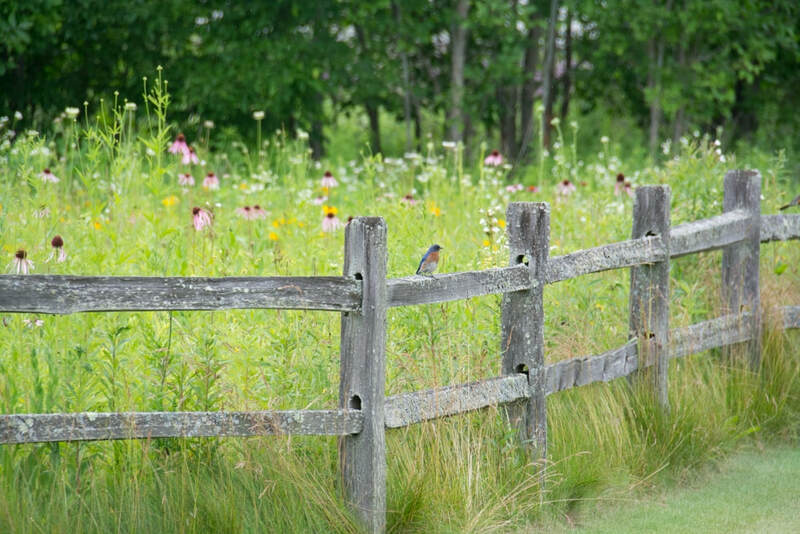 Entering the Cravillion property, you are greeted by this split rail fence and native plants. This is the locktender's garden at Voyageur Park in De Pere. 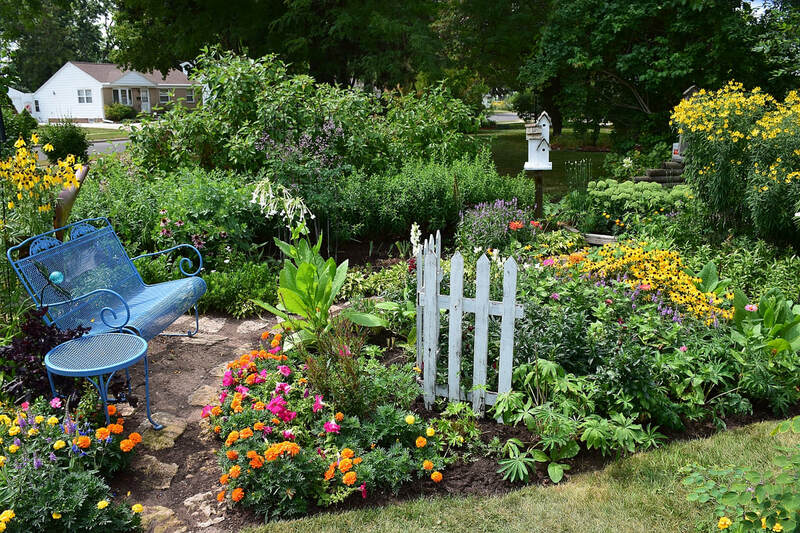 The work by Master Gardeners took place from 2015 to 2018. Native plants have been used here.